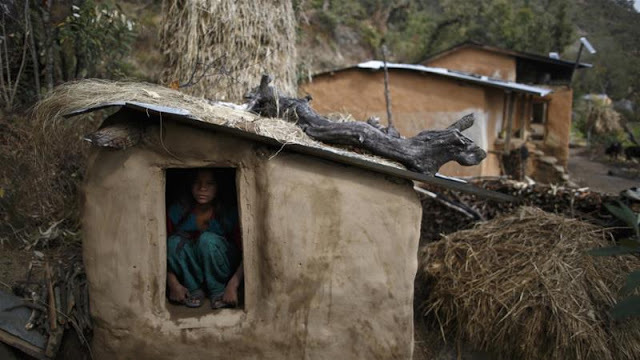 A 15-year-old girl has died in Nepal after she was banished to a shed outside her family home because she was menstruating. The girl, who is understood to have suffocated from the smoke of a fire she lit to keep warm, was identified by local media as Roshani Tiruwa from the country’s western Achram district, Al Jazeera reports. The girl had reportedly been sleeping in a “chhaupadi shed”, a hut outside of the family home where women and girls are sent during their menstruation in the belief that they are impure. 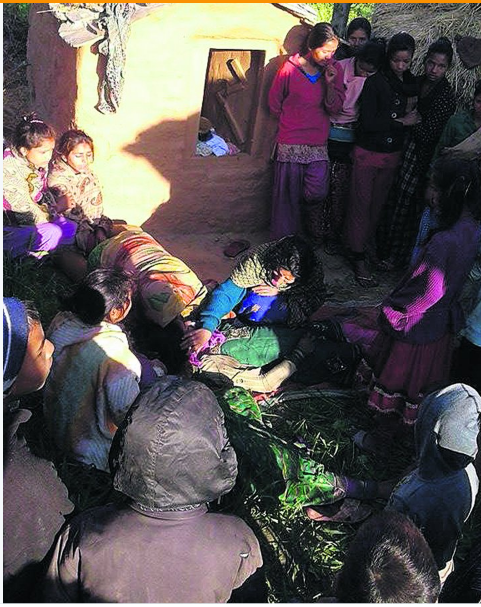 Roshani’s father told My Republica the girl had eaten at around 6pm before going inside the shed to sleep. When she did not appear the next morning, he called to her from outside the shed. “Then we saw her dead body,” he told the publication. “As it was her holiday on Saturday, we thought she had gone to jungle to collect firewood.”Chhaupadi has been a banned practice in Nepal since 2005 but many areas still implement the Hindu custom, which forbids women from having contact with men during their menstruation as well as touching certain objects or foods.